I have been cleaning out cabinets. Now, if you know me well, you know that I love koozies. It sounds crazy doesn't it? Over the last few years we have acquired several. 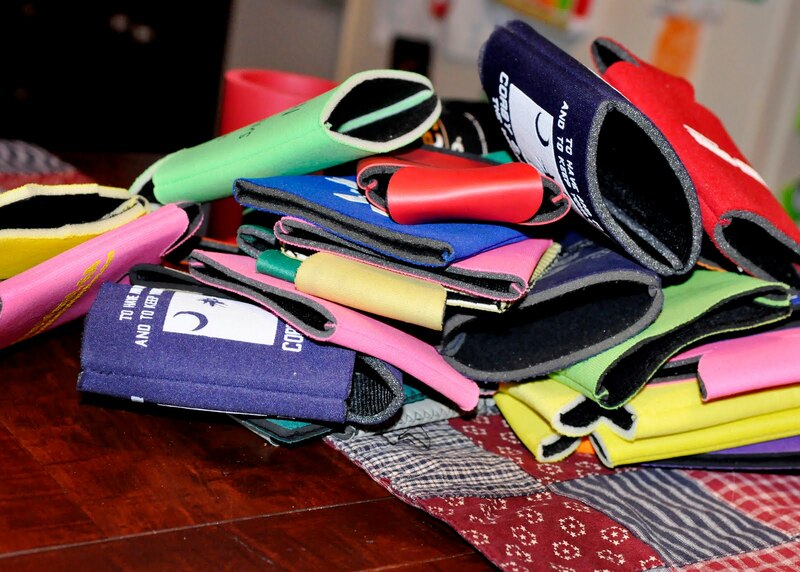 I told a friend one time, "When I pick out a koozie, it's like trying to decide what I want to wear for the day." 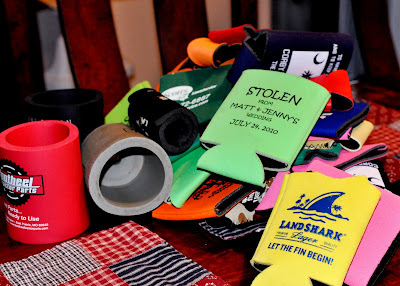 So for all of my friends who make fun of my "koozie fetish", i snapped a few photos and counted them. There were 39 in all and I couldn't part with any of them. 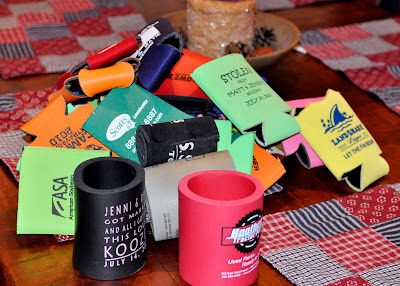 So, I just stuffed them back in the designated "koozie drawer". Then I wrote this so my friends can make fun of me even more!! Birds of a feather. I'm a big koozie fan and all my friends know and tease me about it. They bring them back from trips for me now too. Hoping to have enough to decorate a tree one year. I do have some that I acquired in bulk, so I may cull the ones that don't have a story to make room for more that do.